It is just as important to keep the interior of your car looking as updated as the exterior. You deserve to travel in style. Let our professional team restore your vehicle to its original glory. Sometimes this means making your project even better than before; other times it involves undoing previous sub-standard work. 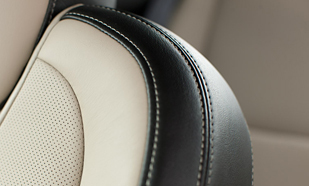 We can repair interior damage caused by a collision, or reverse the effects of standard wear and tear. Our auto upholstery restoration includes repairs to torn or stained fabrics, leather or sagging headliners. Our team can also repair or replace damaged, burned or worn carpet. If your door panels, console lids or armrests have lost their luster or suffered scratches and cracks, we can restore them to their original condition. If your car is in need of interior repair services, contact us to schedule a complete vehicle makeover.